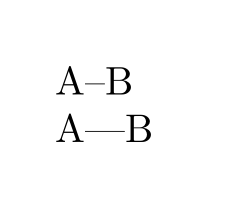 LuaLaTeX is not inserting em dashes unless there is space around the triple dash. 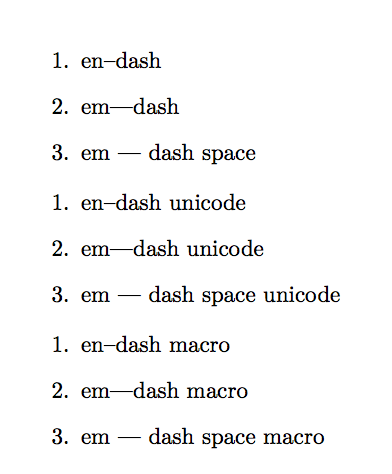 It works fine when using a unicode em dash, or explicitly using the \textemdash macro. 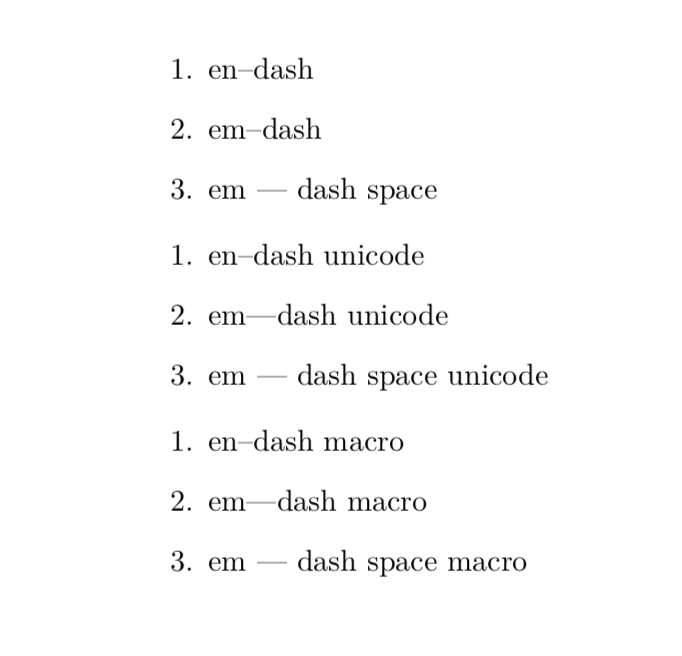 I would like to know why em dash ligatures without surrounding spaces are not rendered as em dashes in the PDF output. It seems like a bug to me. how can I fix it? and after the line has been set this has to be converted back again to ---, and this step seems to fail. The problem has been reported, but it is unclear if it will be fixed. Not the answer you're looking for? Browse other questions tagged luatex tex-core punctuation ligatures or ask your own question. 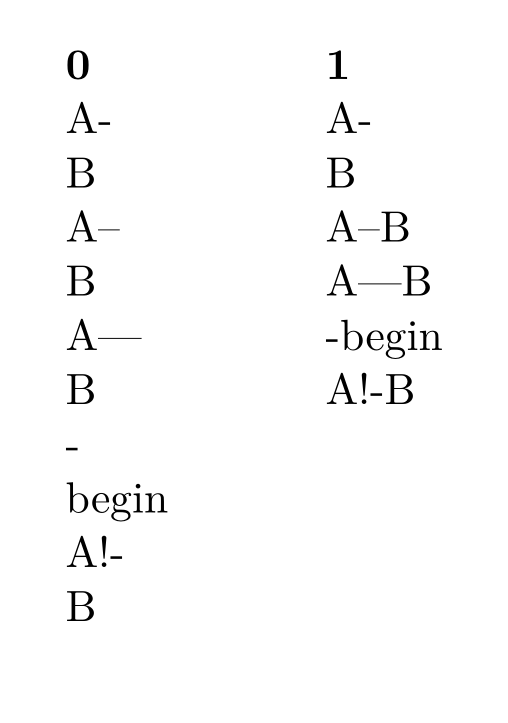 How can I get LuaLaTeX to turn three hyphens into an em-dash?